It’s raining cats n’ dogs ! Sometimes when the forecast predicts cats n’ dogs (or copious amounts of rain) us Scots sigh, as rain is all to common a sight in the UK. 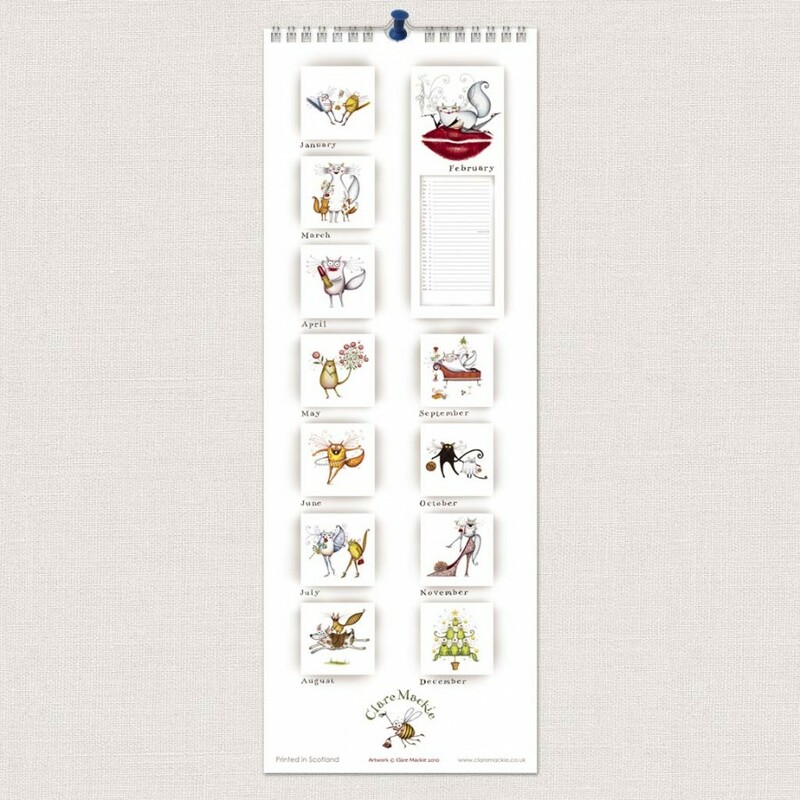 But our Bay Attic prediction for next year is not as unwelcoming as it seems, because the Cats and Dogs we predict for next year are full of cheer, will give you a giggle and are creatively nurtured from the imagination of Clare Mackie. 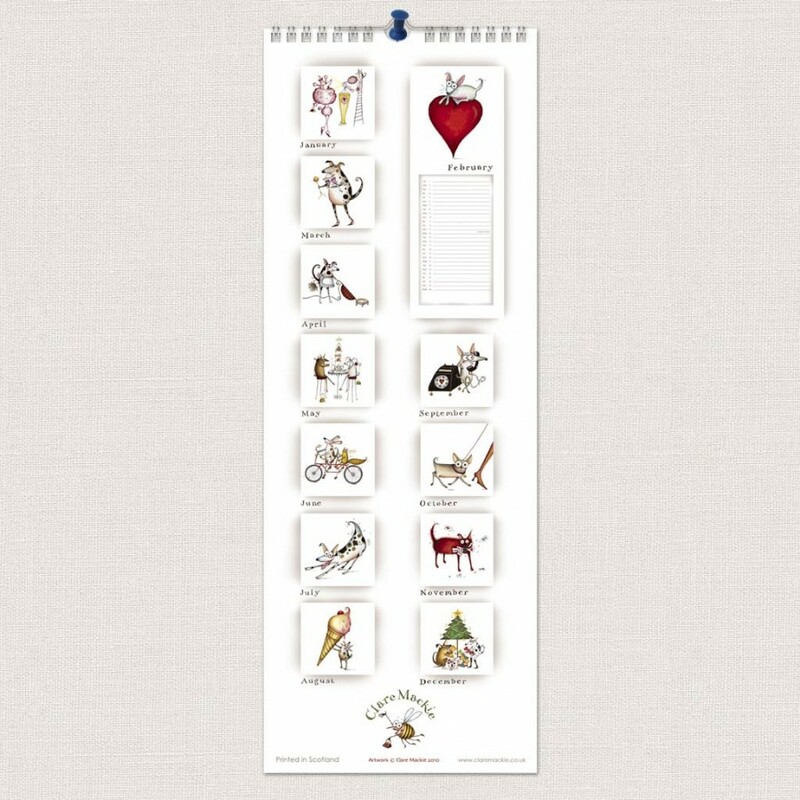 Yes, you can share in the fun with a Clare Mackie Cats, or Dogs 2011 calendar !